About 800 people viewed the property over three days, eventually selling for $1.1 million. 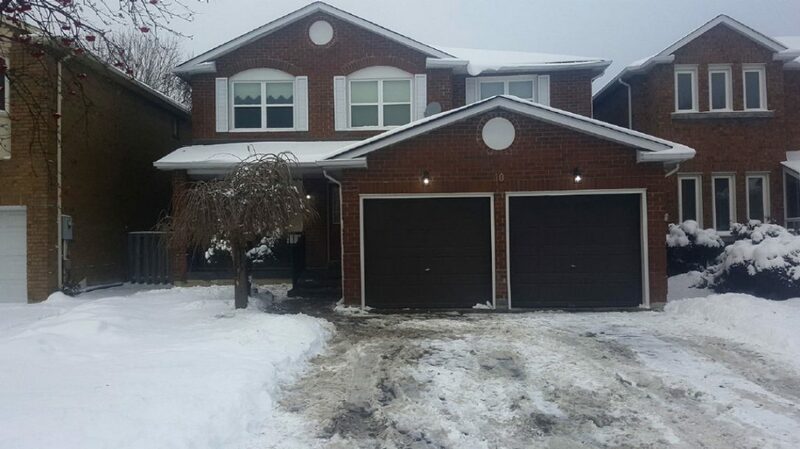 This dated Vaughan home sold for $400,000 over the $699,900 list price this week. A Vaughan home that sold for $400,000 over the asking price this week drew so many viewers that people lost their shoes at the open houses. It’s not unusual for homes to sell for tens, sometimes hundreds of thousands of dollars over the listed price in the frenzied Toronto area real estate market. Despite its dated condition, the estate sale property, which sold on Monday for $1.1 million, attracted about 800 visitors over the course of three open houses — and 50 offers ahead of the designated offer presentation time. It was a deliberate decision to price the 2,670-sq. ft. detached house near Dufferin Rd. and Steeles Ave. at an unusually low $699,900, said agent Steven Atsaves of Royal LePage Grange Hall Realty. That, combined with a shortage of listings in the pre-holiday period, pulled in the crowds at the open houses, he said. “I purposely put it for sale without renovating or painting it. If you renovate or paint it, we’re going to go into the spring market by the time we put it up, and then we’re going to have a lot more competition as well and the risk of the market turning,” he said. “Instead of from 2 p.m. to 4 p.m. on Sunday, I did two open houses from 1 p.m. to 5 p.m. both Saturday and Sunday. I knew the influx of people coming was going to be insane,” said Atsaves. It was so busy, people struggled to find their footwear among the dozens of shoes at the door, said Atsaves, who found himself rationing agents and viewers to two- and three-minute conversations. “It looked like a rock concert on the street,” added Atsaves, who also did a half-day open house during the week. People are accustomed to homes being staged to look and smell like they’re move-in ready, he said. But there was no apple pie baking at 10 Hinda Lane. It was emptied for showing. It had torn wallpaper, a partially finished basement, an older kitchen and well-used carpets. “That’s the product I wanted to sell, a house that needs reno: paint it yourself, choose your colours, choose your own floors. That’s the product we put out there. We did not try to make it look pretty,” said Atsaves. The vendor did install a new furnace and put railings on the front porch as a safety measure. The property in the Lakeview Estates neighbourhood has four bedrooms, a double garage, main floor family and laundry rooms. Built in 1984, it has only ever had one owner and was sold in original condition.